Coming into the 2013 season, there was a generally accepted belief that the new class of young superstars in this league began and ended with Mike Trout and Bryce Harper. It’s not that there wasn’t a next tier, it’s that the gap was well established — even when you dropped to also-studs like Giancarlo Stanton, Jason Heyward and Starlin Castro. It’s the difference between the usual level of greatness that we see, and the greatness only exuded by the generational talents who have the skills to change the conversation. But as it turns out, there may be room for a third wheel in that class. Manny Machado was, in some ways, a victim of his own success in fantasy circles. It’s no secret that he was consistently challenged by the Orioles with his assignments, tackling Low-A at age 18 and Double-A at age 19. So, simply by holding his own at the levels he was assigned to was a strong statement about his talent — and those gaudy minor league numbers, like the ones many of the “household name” prospects put up, never came. But that didn’t deter the Orioles from seeing what he was capable of, as he was promoted to the major leagues just one month after his 20th birthday, and all he did was post a 98 OPS+ in the middle of a playoff race. Not to mention that he was playing great defense at a position he only played two games at during his entire minor league career. This season, Machado is making a loud statement that he should be considered along with Harper and Trout to be the new ambassadors of the game for the rest of this decade and beyond. Through 38 games, Machado is hitting .331/.370/.521 with five homers and four steals. He’s also third in the major leagues in both doubles and wins above replacement (fWAR). And all of his underlying stats are backing this up. His walk rate is up, his strikeout rate is down, his swing rate is down, his contact rate is up, his whiff rate is down and his line drive rate is up. And none of these are insignificant changes either. The real question of whether he can join this upper echelon of talent for fantasy purposes is where he falls on the defensive spectrum. Machado came up through the Orioles system as a shortstop, and has played third base exclusively at the major league level because that’s where the team’s need has been. But with J.J. Hardy’s contract expiring after the 2013 season, Machado could potentially be looking at a return to his natural position, which would make his dynasty league value shoot through the roof. This potential .300+ average, 25+ homers and 10-15 steals would clearly play at any position, but to get that at shortstop would be even better consider the dearth of fantasy stars at the position recently. 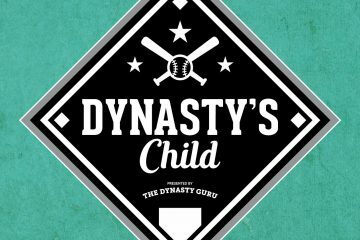 Later this week, I’m going to be releasing an updated Top 500 Dynasty League Overall Rankings (teaser alert!) — and I will have moved Machado up comfortably. Not up to the Trout/Harper level, but let’s be honest, that’s not warranted after six weeks — and even if he does this for six months, he’s going to need that shortstop eligibility to get near that level. But putting that aside for a second, it’s well worth putting Machado up on that age-to-performance pedestal, though it feels like we’ve done it so often recently. After all, he’s on pace to have one of the greatest age-20 seasons of all time (which would surely would be talked about much more if we hadn’t seen the greatest age-20 season of all time last year, and aren’t seeing another one just 45 minutes south of Baltimore). It’s only natural for Manny Machado to sit in the shadows of two of the most impressive prospect-to-superstar conversions that we’ve seen in our lifetime. But he has the talent to force his way into that conversation before too long, and just being in that conversation is an incredible achievement, considering the rarities that Harper and Trout are. If you haven’t gotten fully on board the Manny Machado Express, there’s still room, but seats are filling up quickly..
Good read, i followed your ranks and picked Machado in the 3rd round of my Dynasty league(16 teams) gotta say i am happy with the returns. All aboard!!! Thanks Guru for being so high on Manny and seeing the future because well before draft day this year you had me believing in him 100% and that belief is paying dividends big time in the leagues I managed to draft him. That would be 4 out of 6 leagues thankyou very much. 3 of them in various keeper formats. 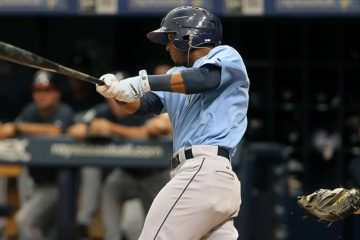 It’s a real coincidence for me that you have posted this today because no word of a lie just 5 minutes before I checked this fine site for new content (fully knowing your trust in Manny) I traded Jason Heyward for Him in a keeper league where I am strong in OF (Trout included) and needed some 3B help. Got him in all 4 keepers now. Totally stoked. I was going to ask you what you thought of the deal but after reading this there is no need. I am satisfied it’s a win for my team because Manny is King! Watching Him play baseball is pure joy. Good read, I also read something over at CBS stating that Manny through his first 84 major league games has a better average, more homers, more doubles, and more RBI’s than Trout and Harper in their first 84 career games. Those guys are superstars, no doubt, but the fact that Manny has actually been outperforming them is something that goes somewhat unnoticed. I also own Manny in my keeper league, gotta love articles like this! Great job. Tried to get Machado at the beginning of season in my dynasty league, but just could not get a deal done. I did manage to trade David Freese at the begging of the season for Arenado and Gregorius. I just traded Gregorius for Rutledge. No Machado, but at least I sold Freese while he was hot I was able to solidfy Arenado and Rutledge for my infield (I have Weeks at 2B right now, but he is ready for the scrap heap soon). Moreland just hit another home run. Got him off the scrap heap last week and he is on fire!!! Goodby Kendrys Morales!